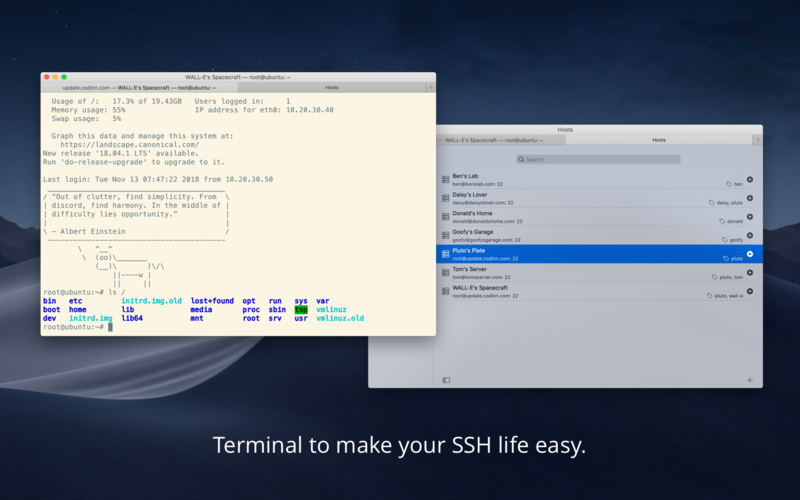 I know that SSH from the command line is easy enough, but would like to give my students that use OS X a GUI option. Is there a PuTTY equivalent for the Mac? and a lot more. Some are mentioned here but some are not, such as co-processes, triggers,smart selection, semantic history, and so on. Development is pretty active, but documentation seems to lag behind. I highly recommend it. I've been using it for years now and have never missed Terminal. You could also take a look as ZOC6 seems pretty cool. Configure ssh options and connect to ssh hosts manually always make me feel bored and have a lot of trouble. At Codinn we made a couple of GUI tools to make using ssh effortless. Those tools helped ourselves, and may also help you. Full-featured terminal, supports 24bit true color. Support everything in OpenSSH, agent forwarding, certificates, proxy jump, etc. Can read your existing ssh_config file as the source of advanced options, especially helpful for experienced users. Also included advanced options editor, a handy way to tune per-host advanced options. 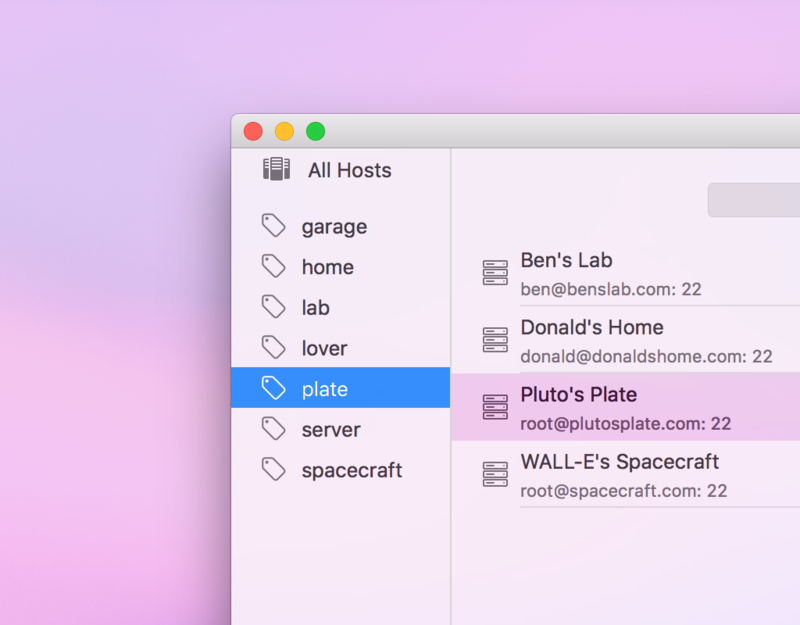 Tightly integrated with macOS Keychain, don't have to enter passwords or passphrases repeatedly. Always tries to restore your connections after network failure or waking up from sleep. You could try SecureCRT and SecureFX from VanDyke Software. Fugu is what you are looking for. vSSH is actually an ssh client based on putty. I got it from the app store for about $10.00, so it's a great deal compared to ZOC. I'm getting along well with Royal TSX. This is useful for SSH, RDP and VNC based terminals or web-based interfaces. It has a built-in credential management and team-sharing features. If you want to start a gui program from ssh, you can use x11 and relay it with xeyes. You can get CyberDuck for free online, or at a cost on the App Store. Another option is FileZilla. I used it on Windows for FTP, but I believe that it supports SSH as well. It definitely runs on Mac as well as Windows, so it's another option. FileZilla is also free. Not the answer you're looking for? 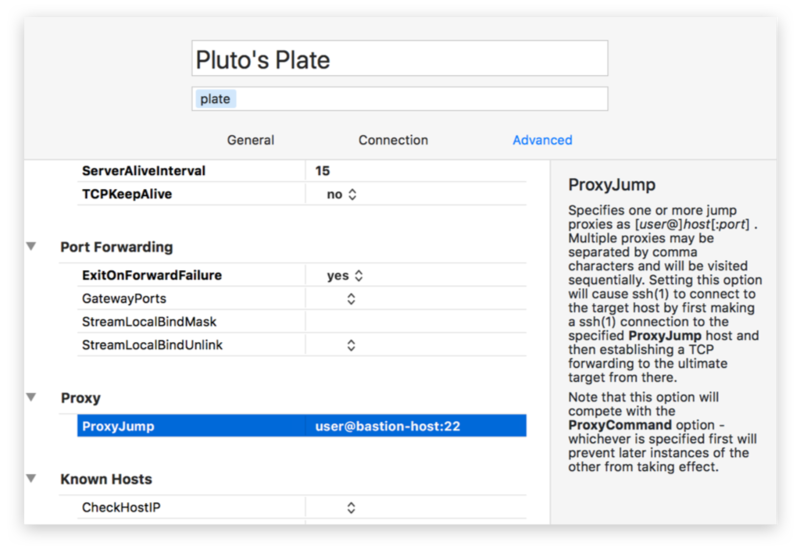 Browse other questions tagged macos software-recommendation ssh utilities . How do SSH sessions work with iTerm?